Proving the point that Black Friday and Cyber Monday aren't necessarily the best days to buy everything, here's the best Fitbit deals we've seen this month on non-Black Friday, the 30th. These reductions, which end up at midnight tonight, take the Ionic below the psychologically important £200 barrier and the Versa down to its lowest price for a while. And, obviously, below the £140 barrier, which may or may not be psychologically important to you. Fitbit, clearly, are by far and away the biggest name in fitness tracking and among the best fitness trackers you can buy. Probably the best wearable Fitbit has made, and by all accounts a huge seller, the Versa's secret weapon is that it's actually attractive looking. Its relatively compact size and softened lines, compared to the brutalist Ionic, make it particularly suitable for women. It is, nonetheless, thoroughly unisex and as long as you're a bloke with a relatively slender wrist it'll suit you. On Tyson Fury, it might look a bit silly. 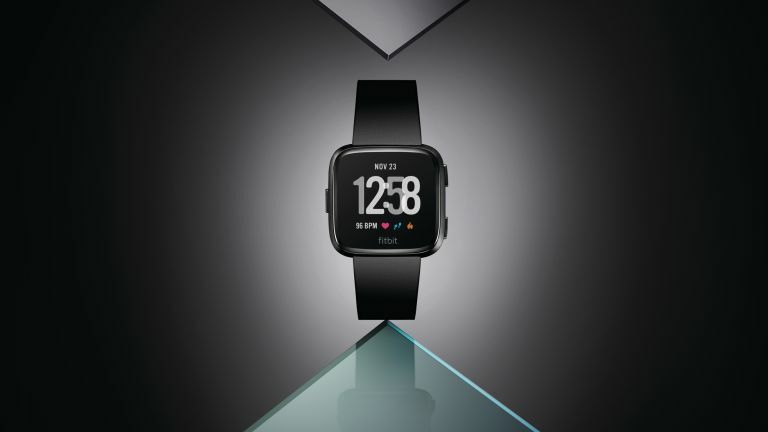 Versa packs in all Fitbit's usual step-counting and sleep-tracking stuff, then filters it through the brand's legendarily user-friendly and clear app. There's also auto-tracking (and manual tracking) of runs, as well as all your workout activities, from cycling to yoga. Since the Versa is waterproof, it can even track your swims. The heart-rate monitoring is pretty good, especially if you only want an overview of your resting and daily heart rate. It does also make a very decent attempt to keep up when your pulse is elevated during strenuous exercise and over time will give you solid insights into your overall fitness level. Although there's no built-in GPS, Versa can also tap into your phone's GPS to accurately track the length and speed of your outdoor runs, hikes and bike rides. Fitbit Ionic: you can have it all but how much do you want it? That crashing sound you can hear is the £200 barrier being breached on Fitbit's range-topping fitness smartwatch. The Ionic is not the most attractive thing, perhaps, but it is very comfortable to wear and packs in even more features than the Versa. Key among these, if you're a runner, is built-in GPS and the ability to download Spotify playlists direct to the watch. That means you can run/cycle/ramble unencumbered by your massive smartphone. In this respect, Ionic is more like a best running watch than a fitness tracker (although it is that as well. As with the Versa, there's notifications. There's also Fitbit Pay but not many banks currently support this (Santander plus a handful of 'challenger banks'), so check if yours does before buying this, if wrist-based contactless payments are a key feature for you. In terms of fitness functionality this is otherwise identical to the Versa. We would tentatively suggest that the heart-rate sensor is more accurate during exercise than on the Versa, due to the larger watch blotting out more external light allowing more accurate readings. Again, the battery life is highly impressive. You'll get a good 4-5 days out of it even if you're using GPS every day. As long as you're not tracking an ultra-marathon every day, anyway.